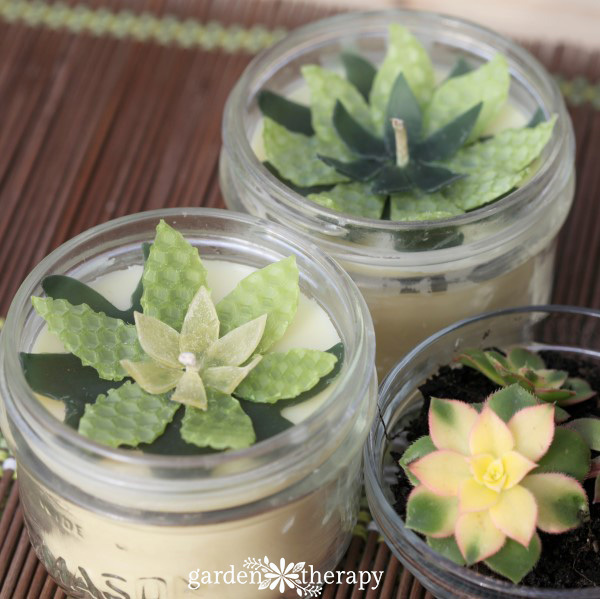 These Mason jar candles topped with beeswax succulents look impressive but are super simple to make. 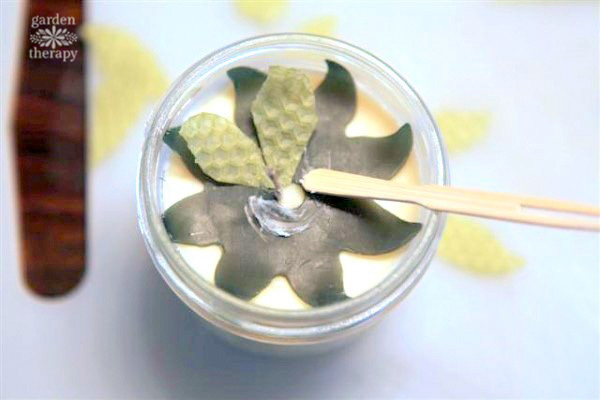 This project can be done with homemade soy and beeswax candles, or even to top a store-bought votive. 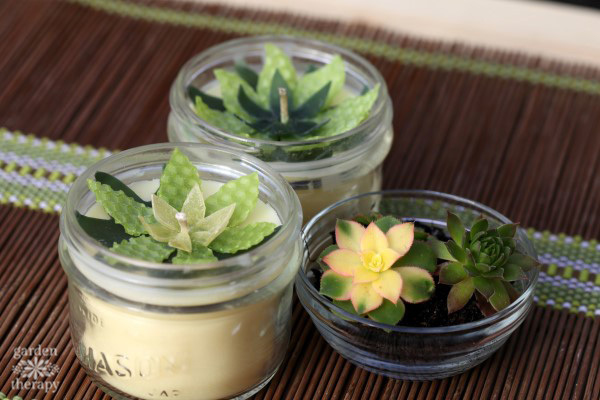 We’ll continue on our theme for making homemade holiday gifts again this week for this Weekend’s Project: a DIY Beeswax Succulent Mason Jar Candles Tutorial. 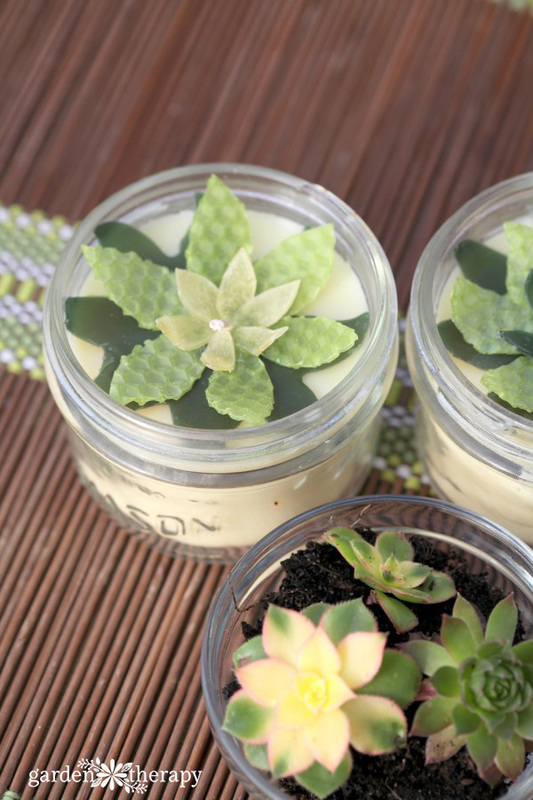 The beauty of these candles is that you can screw a lid on them, decorate them up, and they’ll surprise the lucky person who gets to open them. They are also wonderful for out-of-town friends and family as they can safely be shipped without damaging the topper. 1. 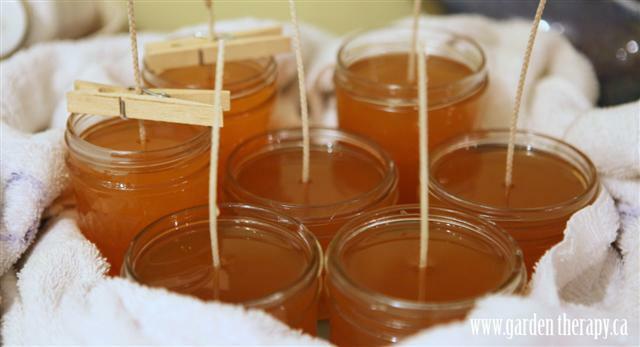 Make some soy & beeswax jar candles in wide mouth 250ml / half pint jars like these. Fill jars so that they are only 3/4 full (note: they are too full in the photo shown) as this will allow you to have space for the beeswax succulent and also be able to screw the lid on the jar for wrapping/shipping. 2. Now you can begin decorating! 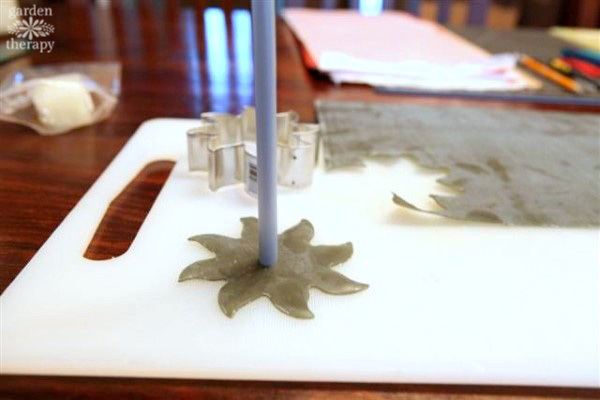 Using a cookie cutter, cut out a flower-like shape from a sheet of the beeswax. 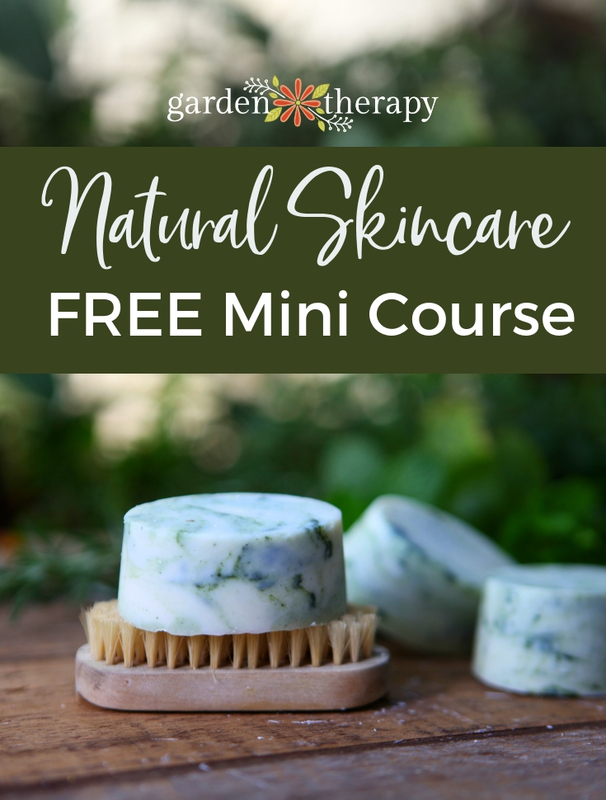 We used both honeycomb and smooth sheets for different textures. 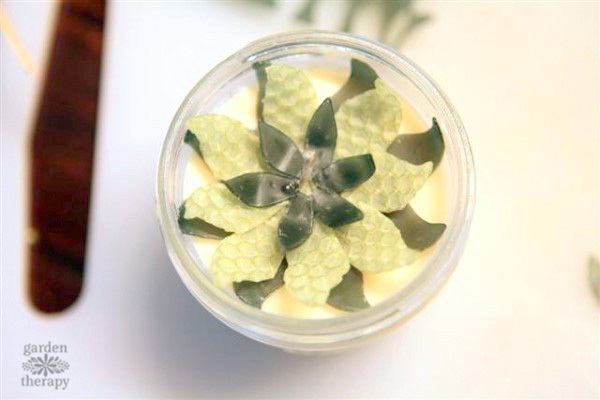 Using the pen, punch a hole in the center of the flower, then slide it over the wick onto the top of your candle. 3. 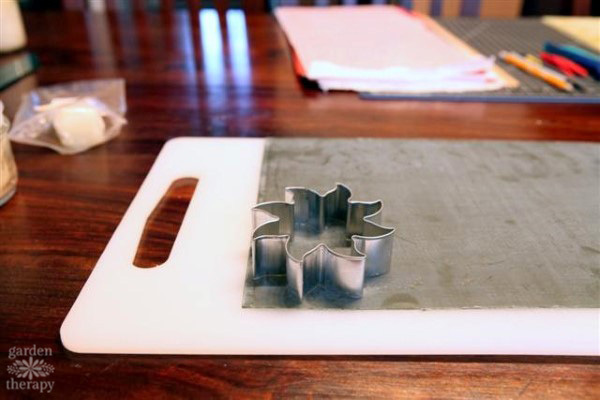 Cut a second color of wax with the cookie cutter. Using the knife or scissors, separate all the petals, then spread some of the tacky wax (a sticky wax that acts as glue for the petals) with a popsicle stick around the center of the flower. 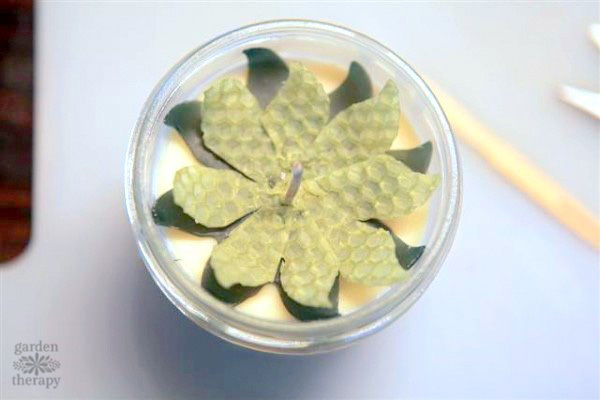 Arrange and press each petal around the wick. Carefully bend the far tip of each petal upwards to create a 3D effect. 4. 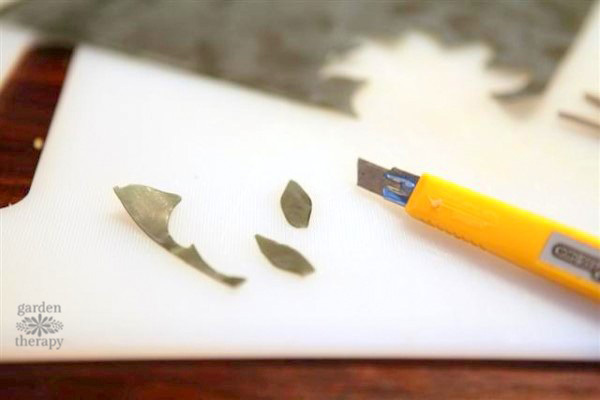 For the third layer of the flower, cut out smaller petal shapes with the knife or scissors. Generally 6 petals will do. Again, spread the tacky wax and adhere the petals, gently bending each tip upwards. That’s it! No really, it’s that easy. For bonus points, you can decorate the jar and the lid. For some cute printable labels that will fit mason jar lids, click here. Like these? 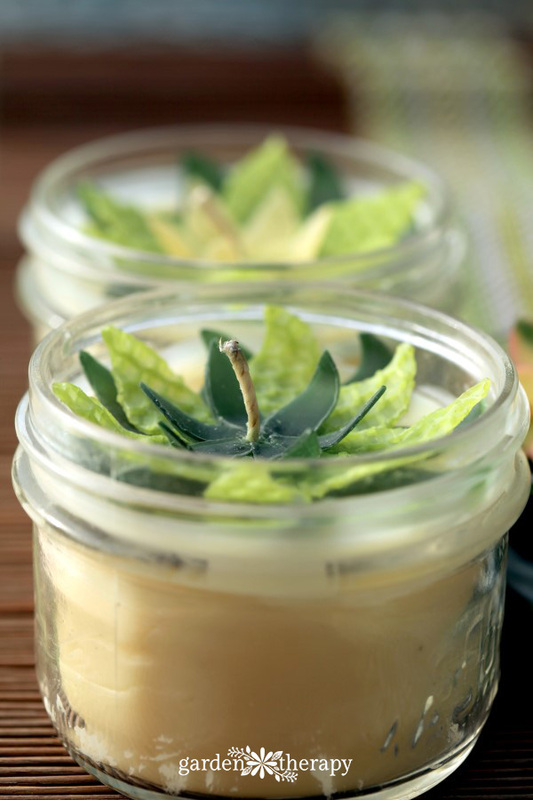 Check out how they can become Christmas-themed Mason jar candles with poinsettias! 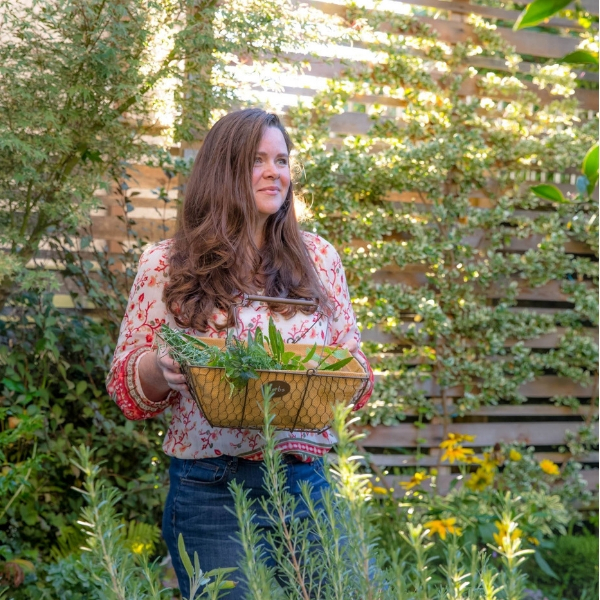 « Garden Therapy Handmade: Now Open!